"Approved Code No. 221--Amendment No. 1." Atlanta, Ga.; 501~ Pust Ofli(Ce Buldi~ng. B~irmiiingha. A\la. : ".r37 F'~iederl uln. Buffalo, N.Y.: Ob31mber of Commierce ~Building. Chalrleston. S.C'. : Chamniber ojf Commlerce B~uilding. Chicao,~j Ill.: Suite 1700,; "iU1 Norl~th nellss streEt. Cleve13land 01110: Chambe1[)r Of C:ommelirCe. Dalus~. Tex. : Chamber~r orf Commecrce Buildinig. Detro~it, Illich. : 80I1 F~irst Natiolnal Brnuk Building. Ho~.uston, Tex. : Chambere~ Iof Comm~nerce Buibiling. Indltianaplolis. Indt. : Chamhe~r Of C~ommler.Ce Building. Jacknil;;leiii Fl. : C~lnuiber1 of Coimmerce Buildling. Kansas~;; l City, MoI. : 10l28 Bazltimuore Avenue. Los Angleal~s. Califf: 1162d Southi Broadwar~y. Louisville. Ky3. : 4108 Federal .Building. ~irlenalis, Tlenn!. "'9 Fed~eral Building. M~inne~allclis; RIlinu. : "1,3 Federal Buildinig. Near York. N.Y. : 7341 Custombonuse. No'crfull:. Va;. ; 400l East Plumer Street. Philnlaelphin, Pa.: 4.2 Com~lmerccial Trust Building. PittsburCIh. Pa.: Chiambelcr oif Commner~e B~uildling. Porthuld Oreg. : '15 New Porst Ofijce Building. St. Lcouis, hil. : 506 Oli\-e S~reet. SanL Franc-i; CI, Cal1if. : 310 Custombous1011 e.
Seattle, Tnuash. : SO9 Federanl Oillee B~uildling. tion 6, Par~agrlaph (f ) be and it is hereby deleted. 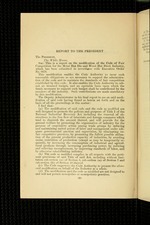 sub-section (b) of Section 10 thereof. said modification on behalf of the Industry as a whole. and will not permit monclop.olies or mlonopo~listic practices. For these reasons this modification hats been approved. which the Administrator sha~ll hae so- approved. Approved Code No. 221--Amle~l~trulme No~. 1.